Start the Halloween season and get into Halloween spirit with a local theater or play in Hawaii. Let the wizards, dragons and dark tales come to life on stage. You’ll be sure to feel a chill or two and a heart-pounding experience as stories of darkness unfold. 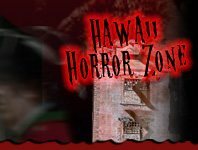 HawaiiHauntedHouses.com is the place to find your next Halloween theater or play performance.